FactoruserdatalogVarano.hat before update the track. -Additional fictional Offroad Layout, not real but really funny with HRC and ORR mods. -Fixed a bunch of little graphical bugs around the track, blurry sky, remapped some textures, better smoothing on many objects. -More realistic car behaviour on dirty surfaces. -Big shadows now cast on cars. -Removed or resized dynamic shadows on some secondary objects for better fps performance. -Multicam support (4 sets available) for the standard track. -Added a 50 meter wide skidpad in the paddock area, that appears in testing days only. 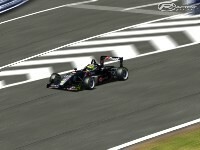 -Pits now have two LOD. -Four of six tire barrier on Icks chicane are now solid, so you have space to a little cut, but nothing more. -As requested, added an invisible wall that doesn't permit cars going over the dike of the river. The Varano Track staff and administrators (such as Mr.Maestri and Mr.Manfredi) for the efforts they made and the authorization given to us in order to create the virtual counterpart of the real track. -Andrea "Afdelta" Fabris for some very useful suggestions on track editing. -Uzzi for his tips&tricks with the aiw files and corridors hints. -Gabriele Tondi who creates our website. 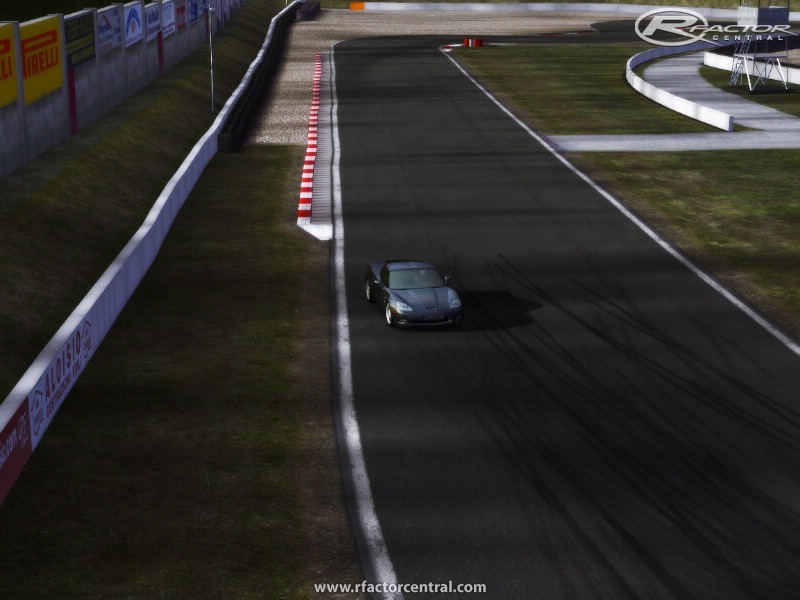 -The Racesimcentral Staff, who gave us 'the place' for share and learn a lot of knowledge on simracing and modding. 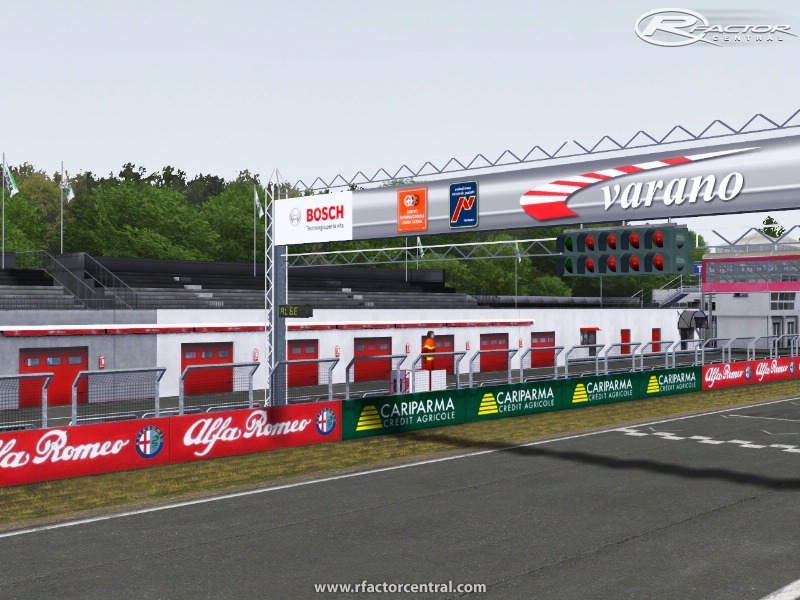 Special thanks to Alessandro Balzan (racedriver in real life, that knows Varano de Melegari like his own hands) for all the important feedbacks about this track (eg:. the asphalt layers and bump properties and kerbs behaviour). Any conversion or reverse engineering is prohibited. Any commercial use of the material inside the archive, is forbidden. Hi guys, is it possible to have the links for the rally layout of this track? thank you. I've downloaded somewhere the 1.6 version but there's an error while i try to unzip it. Yes it's bumpy, expecially in braking zone where new layers of tarmac were replaced, a kind of small step. In a particular point (backstraight after Parabolica) single seaters drivers move inside the ideal line, to avoid a big one, onboard footage explain better. Anyway i've updated the track like 2009, v1.2. 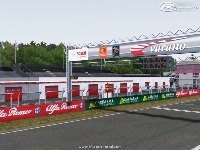 Next step will be on rF2, many modifications on the real one are on the way. I missed this update - excellent work. One of my favourite rF tracks just got better. It's a furious pace in F1 cars, if a little bumpy on corner entries. (This is to reflect the braking zone ripples?) The chicanes are more like esses and they have a nice flow - the direction change at speed in F1 cars is really something, and in less grippy cars the esses are open enough to slide through. Nice! Bumpy tracks need softer suspension, right? What else? 1.2 Version is available at www dot mbdevteam dot com, for rF, GTlegends and GTR2. With 2009 as reference, plus the 'short' track that i miss in previous releases. Ragazzi quand'è che rendete disponibile il layout vecchio?